St. Joseph (Hamm.) picked up 41-22 win over Holy Spirit for Non-Public, Group 2 title: Kevin Minnick of NJ Advance Media was on hand as the Wildcats dominated thanks largely to RBs Jada Byers and Ahmad Ross. Byers and Ross each accounted for three touchdowns. Wayne Hills takes down Phillipsburg in North, Group 4 Bowl: The Record’s Jim McConville watched QB Tom Sharkey complete three touchdowns to WR Charles Njoku and lead the Patriots past the Stateliners, 35-21. The Pats scored 21 unanswered points to close the game after trailing 21-14 at the half. Piscataway bests Ridgewood, 31-21, in North, Group 5: McConville also witnessed the RB combo of Juwon Jackson and Nasir Best overwhelm Ridgewood. The Piscataway O-Line was dominant as the Chiefs’ backfield rushed for 344 yards in the victory. Haddonfield wins South, Group 2 Bowl by downing Hillside, 17-7: Punt returner Davis Smith scored the touchdown that gave the Bulldawgs a two-possession lead when he took one 53 yards to the house with five seconds to play before halftime. Bill Evans covered this one for NJ Advance Media, and saw LB Lewis Evans lead a stellar defensive effort with 11 tackles. Maldjian the workhorse as Rumson-Fair Haven defeats Tigers in South Group 3: Bulldogs RB Alex Maldjian carried the ball a staggering 40 times for 202 yards and a touchdowns as Rumson won, 26-18, in a game watched by Sherlon Christie of the Asbury Park Press. As a team, the Bulldogs rushed for 236 yards. Shawnee’s run ends with 20-17 loss to Long Branch in South, Group 4: Shawnee couldn’t quite finish what would have been a magical ending for a team that started the year 2-6. 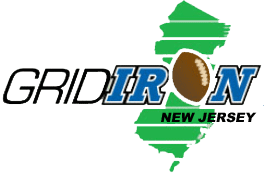 As Chris Melchiorre of Philly.com noted, RB Jermaine Corbett ran for 85 yards and two touchdowns in the Long Branch victory.